The Cougar's Byte is housed within the Kean University Center for Leadership and Service. The Center for Leadership and Service is committed to the personal development and growth of our student staff. One of primary goals of the Center, aside from providing the highest quality of programs and services to our campus community, is to train and develop a first-rate student staff that is prepared to make a positive impact in their careers and communities. The Cougar’s Byte is a Leadership and Service newsletter where students, faculty and staff will find information on all things related to student life at Kean University. 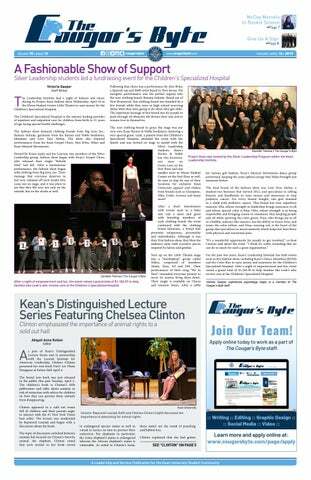 The Cougar’s Byte covers campus events and issues of interest and significance to the Kean community. Students assist with making all decisions related to its publication, including making assignments, reporting, writing, taking photographs, copyediting, designing pages and distributing the paper throughout the campus community. The Cougar's Byte team must maintain a flexible schedule to conduct interviews, cover events, take photos at events, and record events that may occur in the evening and on weekends. 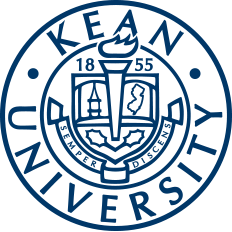 To access the Cougar Link form, you must log in using your KeanGOOGLE username (without the "@kean.edu") and password.